where she used to get the water before. 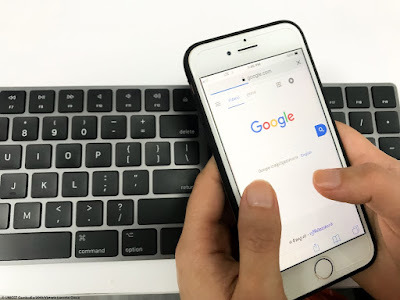 Ratanakiri, Cambodia, March 2019 – It was usually 5:00 a.m. when Chen Yeang would wake up. Half asleep, she would put on her clothes, grab the water basket and make her way to the spring water down the hill from her house. Yeang is fifteen years old. In her village, like in most rural Cambodia, the girls and the women of the household are the ones responsible for fetching water. 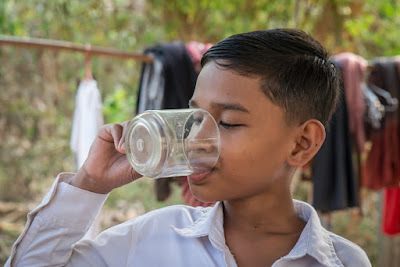 Phean, 10, enjoys a fresh glass of water in his home. Until three years ago, his family had no access to piped water. to install water pipes and improve their hygiene. Phean is no longer afraid of getting sick every time he drinks water. 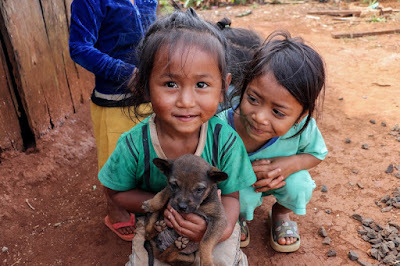 Prey Veng Province, Cambodia, March 2019 – Under a hot scorching sun, not far from the Mekong River, water streams and ponds along the dusty village road are drying up. At mid-day, there is very little movement on the road. Most of the villagers are in their homes, keeping away from the summer hit. The Soknang family is one of them. Sitting on a bamboo bed under a wooden house, Phean Soknang, 9, and his parents are enjoying a fresh glass of water. As simple as this act seems, for many it can be deadly. at the reception centre in Poipet. 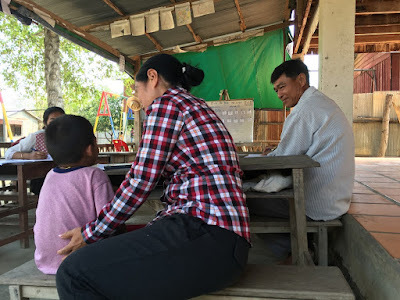 Ratanakmondul, Battambang, March 2019: As soon as social worker Ms. Kim Veth entered the house, 10-year-old Chomnit* ran and hugged her. “Mother! I missed you very much!” he exclaimed. 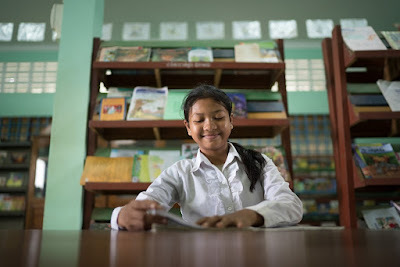 at the library at Russey Chroy Primary School in Sa’ang district, Kandal province. 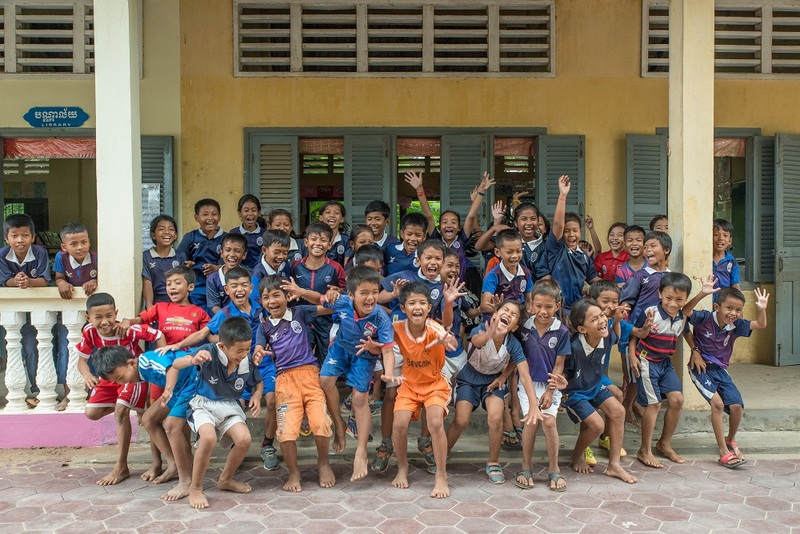 KANDAL Province, Cambodia, March 2019 – Russey Chroy Primary School is located deep in Sa’ang district of Kandal province. 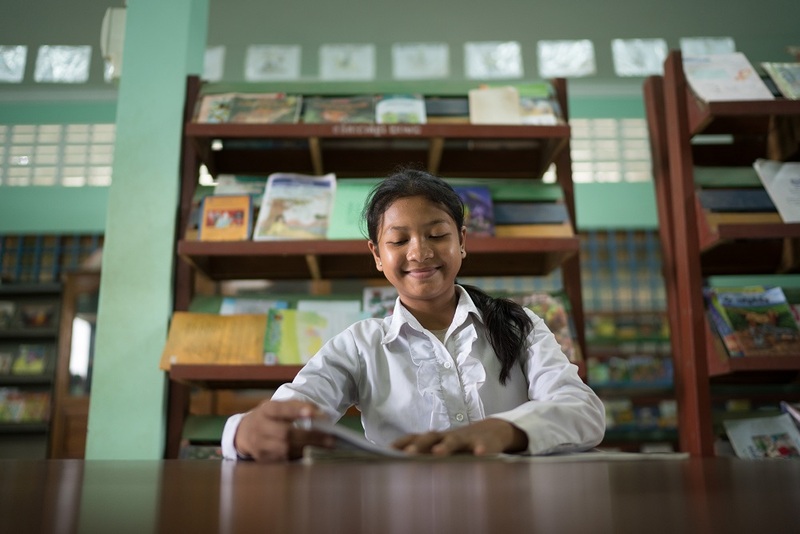 To get to school, students travel on dirt roads by foot, on bicycles or motorcycles weaving through busy traffic of large lorries and construction vehicles. Positive discipline is a method of teaching appropriate behaviour by interacting with children in a kind but firm manner. It reinforces children’s rights to protection from violence and uses discipline that respects their dignity. Seng Noeun is driving back home seven children after class. 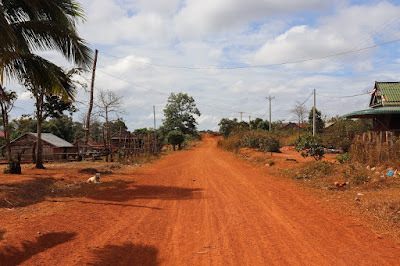 Phum Krouch Village, Prey Veng, Cambodia, January 2019: It is a beautiful sunny day in the village of Phum Krouch, 70km away from Cambodia’s capital city Phnom Penh. From a distance, water buffalos and cows are grazing among the rice fields, and palm trees are rising from the tall grass. Phum Krouch community preschool is hidden on the side of a small dusty road. It is difficult to find the preschool without a local guide. Every morning, when the sun rises, Seng Noeun, a community preschool teacher, arrives at school with a full cart of students.